Vancouver TheatreSports League (VTSL) is back with another hilarious pop culture themed improv show! 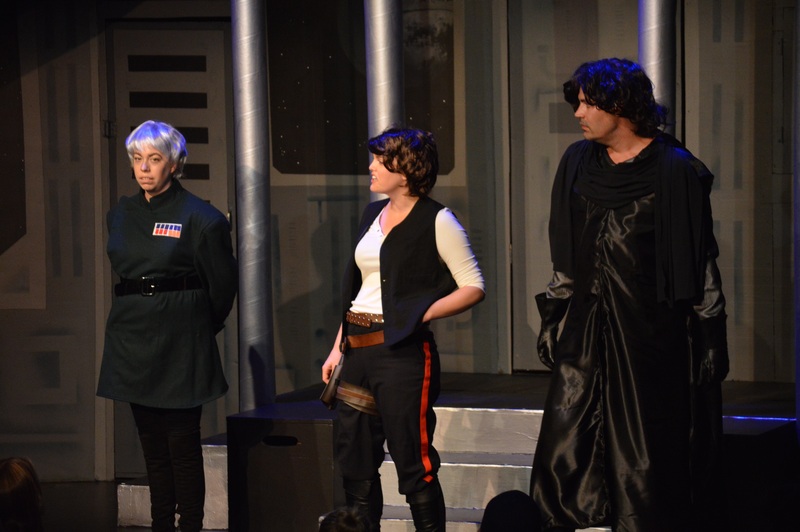 Improv Wars – The Laugh Jedi runs every Thursday through Saturday evening at 7:30 p.m. from now until November 18th. The show starts off with “A long time ago, in a galaxy far, far away…” video beginning and then an introduction by Obi-Wan or someone similar to him. We, the audience, is the Jedi Council. 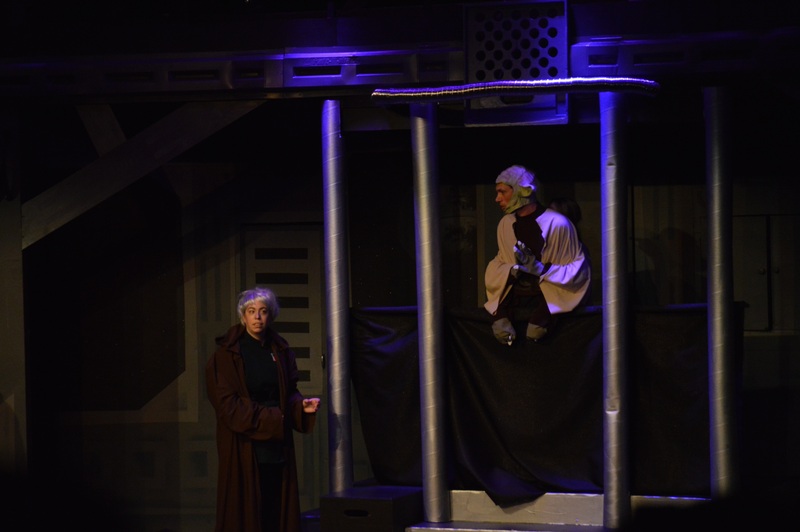 The skills of a Jedi vs the skills of the improviser is highlighted in this Star Wars parody. Who is the Laugh Jedi and true Master of the Farce? We as the council choose the Laugh Jedi! Without giving away too much of the show, the only spoiler I can say is if you’re a Star Wars fan or know enough of the movies, you’ll have a laugh at some of the more subtle Star Wars jokes and the not-so subtle jokes! Not only are Star Wars jokes being used, but modern news / pop culture jokes are thrown in. As it’s a 7:30pm show, it’s also suitable for those not over 19! The first half of the show allows you to judge and select the Laugh Jedi, while the second half of the show focuses on the plot and integrating improv with the Star Wars good vs evil plot. This newest show brings us our favourites – Han Solo, Luke Skywalker, and more! Keep your eye out for your favourite Star Wars characters to make a cameo. 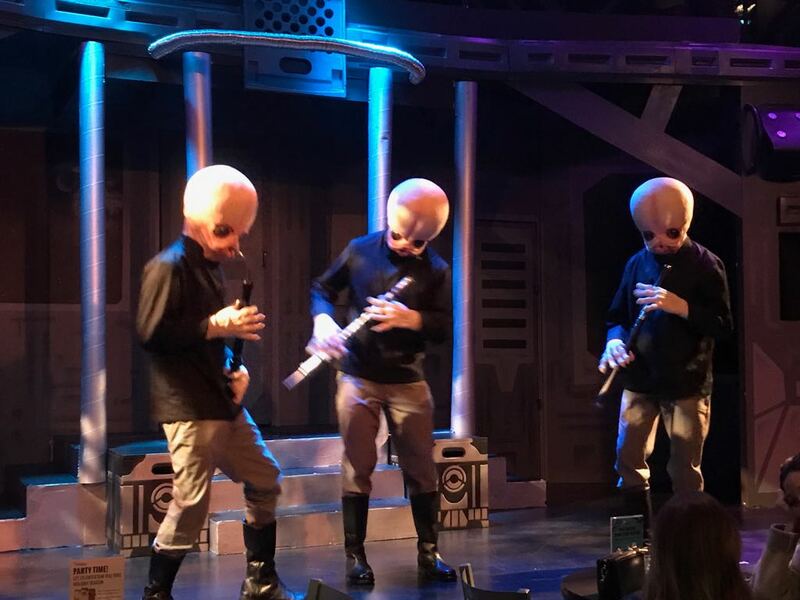 What was fun was the Cantina Band that entertained us while we waited for the show to start. Make sure to stop by the bar for your favourite Cantina cocktail – Darth & Stormy Trooper, Princess Leia, and Jabba Juice. Bring some friends and make it a night out by catching this show before it ends! Improv Wars – The Laugh Jedi is on every Thursday to Saturday at 7:30 p.m. from October 5th to November 18th. All shows take place at VTSL’s home theatre, The Improv Centre on Granville Island. For tickets and show information visit www.vtsl.com.